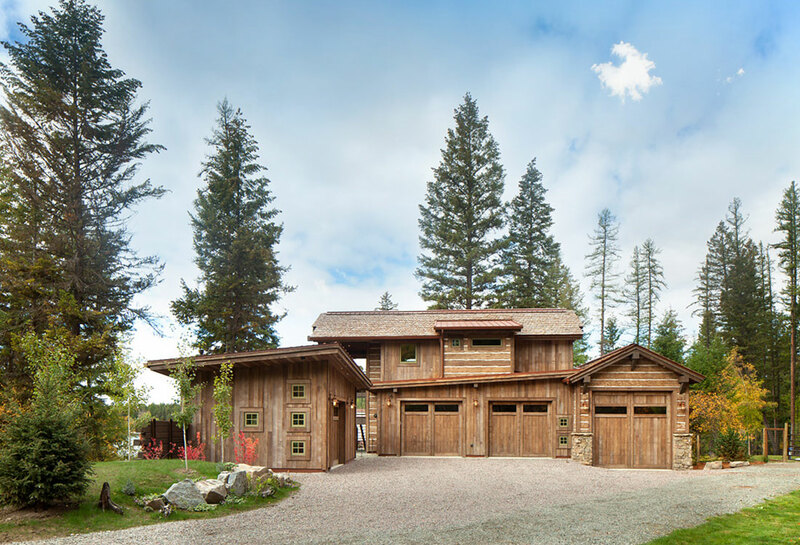 Located on the pristine Glenn Lake in Eureka, Montana, Robertson Lake House was designed for a family as a summer getaway. The design for this retreat took full advantage of an idyllic lake setting. With stunning views of the lake and all the wildlife that inhabits the area it was a perfect platform to use large glazing and create fun outdoor spaces. Large expanses of glazing throughout the Great Room, Kitchen, and Dining allow for stunning views of the lake and also allow for natural lighting and solar gain. The open floor plan of these spaces make it easy for entertaining and family gatherings. 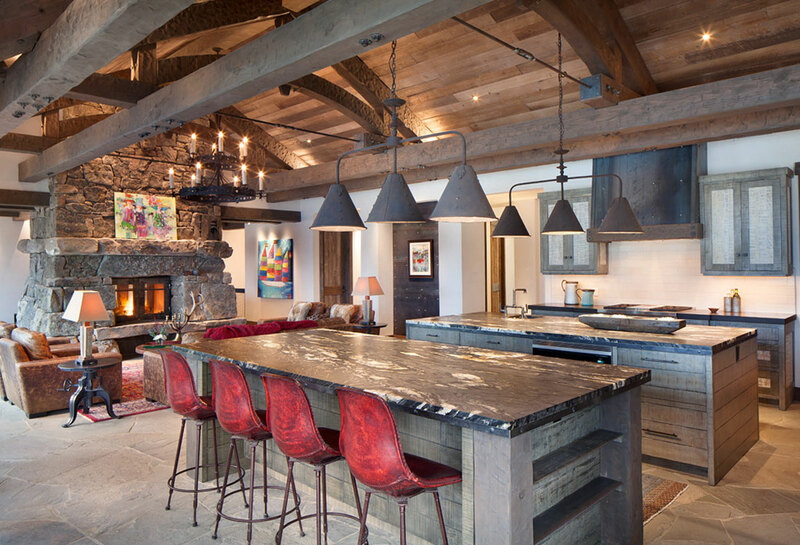 The modern layout was then accompanied by a rustic material palette of hand hewn timbers, stone, and large wooden trusses. The rustic palette bland with the heavily wooded landscape and harsh northern climate.